The Kingdom Choir tickets at The Royal Albert Hall, London. 2019. Find the best The Kingdom Choir concert tickets at The Royal Albert Hall, Inner London. Founded in 1994 by award-winning conductor Karen Gibson, the group of singers from in and around London is dedicated to creating a sound that demonstrates the community they share through their warm energy and enthusiastic performance. One year on from the wedding of HRH Prince Harry and Duchess of Sussex Meghan Markle, The Kingdom Choir will be performing a special show at the Royal Albert Hall to commemorate the royal couple's first anniversary. The Kingdom Choir are known for their angelic and spellbinding performance at the Royal Wedding, and they will be promoting their debut album Stand By Me during a U.K. tour commencing in spring 2019. 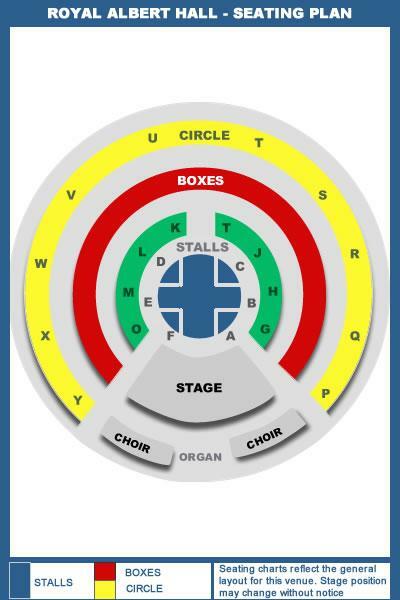 The Kingdom Choir tickets: The tabs above allow you to select between links to suppliers and date searching. Click on a supplier's logo to see their details and on the 'buy now' button to see and check the tickets on offer.